Wash the chillies, put them in a roasting tin and roast for 15 minutes. Leave out to cool enough to handle. Peel and roughly chop the garlic clove. Roughly chop the roasted chillies. Deseed the chillies if you prefer a milder sauce. Put the chillies, garlic , oregano, paprika, olive oil, vinegar and a large pinch of salt into a saucepan and bring to a simmer. Simmer for a couple of minutes. When the mixture has cooled down, blitz it in a blender. 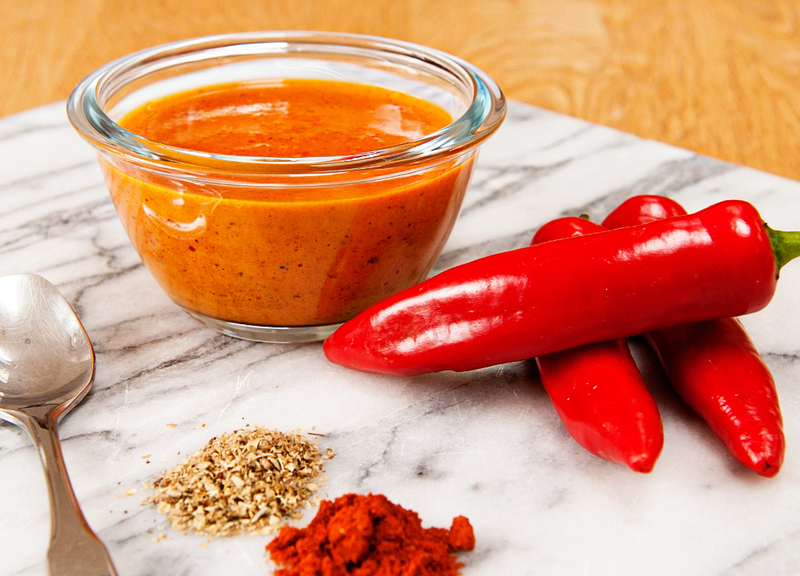 Store the peri peri sauce in a glass container.